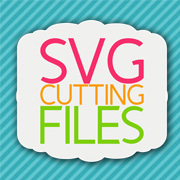 SVG Cutting Files: 12 Days of Christmas Giveway Day # 1!!! 12 Days of Christmas Giveway Day # 1!!! 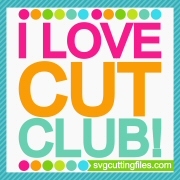 I made a fun tag with today freebie!!! Mini Tag Dies 2 for the tag to add my sentiment from the set Gingerbread Wishes. then use the following link HERE Christmas Mrs Claus Cupcake to grab today's free file! Remember each day we will have a new free file up for grabs - but they are ONLY available on the day specified! Enjoy and Happy Holidays to you! Thank you so much... love it.. Such a cute tag. This will be perfect for the Christmas goodies I'm about to make and give away. Thanks. Oh my goodness this is to stinkin CUTE!!!! Your tag turned out so CUTE!! Thank You Annie for the freebie! Totes adorbs! Loving this 12 days of Christmas freebies! This is super cute Cindy!! Loving this advent calendar idea - so fun!! Sooo cute! Thank you for the inspiration! and the file!! Mrs. Claus is just too cute! Thanks. SUPER adorable!! I just got in from work and I am going through bloggy world and I almost forgot about day 1 giveaway!Thank you for the file!! Oh the cupcake with Mrs. Clause is too cute. I love your Mrs Claus Cupcake tage, love those cute glasses on her too!!! OMGOSH! Your tag is totally ADORABLE! Love it! 12 Days of Christmas Files- Reindeer Cupcake! 12 Days of Christmas Giveaways Day 4! 12 Days of Christmas Giveaway Day #2!